The first target of the movement is the village of Sangke which has around 90 homes /households which totally depend on Kerosene lamps at night because the electricity grid does not reach this area yet. Most villages in Landak region West Borneo Indonesia still use Kerosene lamps as their sole source of light to brighten their homes at night in the remote villages due to the absence of electricity support from the country. However, the use of Kerosene lamps has many drawbacks for the villagers for some reasons. Kerosene lamps emit CO2 and Carbon Shoot (Small particles of smog) which are unhealthy for them in the long term. It is important to know that CO2 is part of green house gases which contributing to global warming. Economically, the price of Kerosene is still high which probably costs around 1 USD per litre and it can cost around 100 USD per year (our estimate) per home. Thus, the use of Kerosene lamps burden the villagers financially and harm their personal health. In short, it is urgent to replace the Kerosene lamps with affordable and healthy renewable energy source. There are few reasons why villagers are reluctant to use renewable energy source such as solar panel to replace their kerosene lamps. Firstly, they do not have technical skills in installing and maintaining solar panel as their energy source. Secondly, they do not have the financial ability to buy solar panel in a one off payment system because it becomes expensive for them. 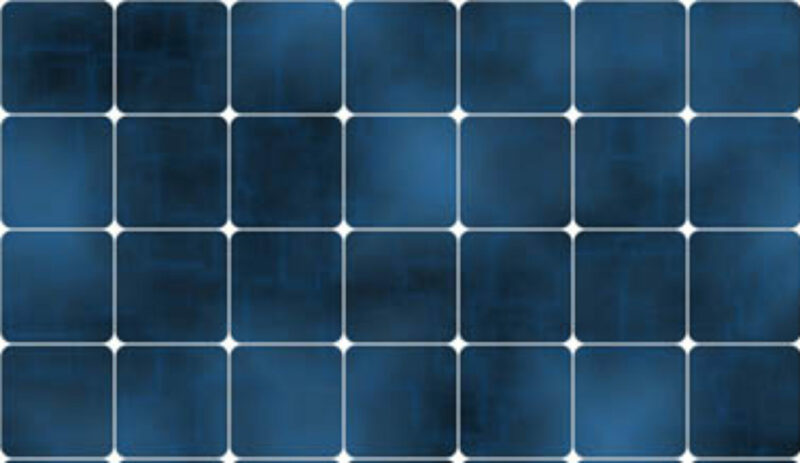 Finally, there is a lack of support in converting to the new energy source such as solar panel because they worry that they do not know where to get help and support when the tools are broken or out of order. Technical support service is not provided after the installation and this might harm the continuity of the solar panel energy. To solve such problems of energy source in the villages and to replace their dependency on Kerosene lamps, GEMABETA offers a few solutions such as replacing the use of Kerosene lamps with an affordable mini solar panel which can power three up to fours 1 watt lamps which cost around 65 USD per unit. GEMABETA will provide technical assistance and training in the installation of the solar panel and its components until the solar panel is ready for use. To ease villagers the payment, the villagers can pay through instalment system where they can pay monthly from 5 USD to 10 USD dependent upon their ability to pay and the payment will be collected by the village chief (Kadus). GEMABETA will support the villagers with the technical assistance during the movement and will assist them with the reparation and maintenance of the solar panel component through workshop and education. This payment system is chosen to ensure the sustainability the program so we can install more solar panel on other places. 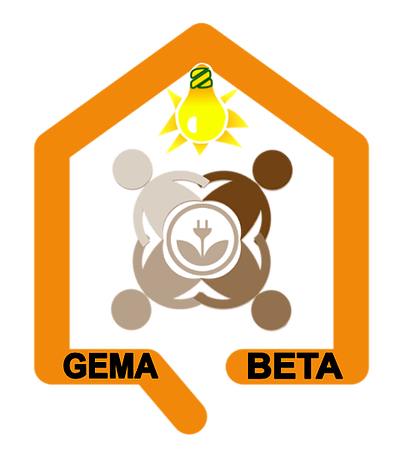 GEMABETA gets it fund from crowdfunding, unbonding donation from company or personal. 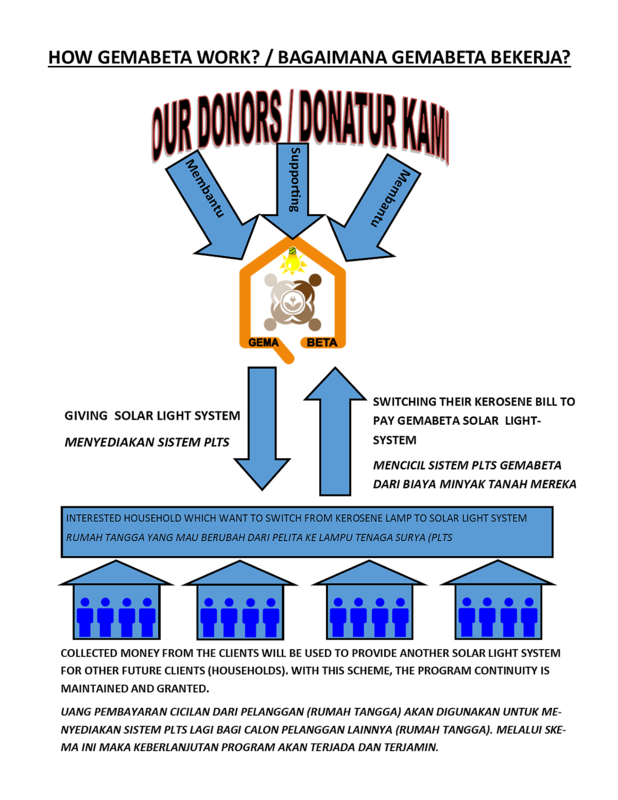 This fund will be used to buy solar panel and its components (battery, cables and lamps). If the reimbursement fund from the first phase in Sangke is successful, the fund will be used to finance the same movement in other villages in Landak region.